Summer is in full swing, and the hot weather is here... so why not cool down with us by enjoying any number of new cocktails offered on our drink menu? The last few years, we have traditionally offered our own housemade sangria to start the summer season. In fact, we've already been hearing from our customers who have wondered why it hasn't been here sooner. Rest assured, it takes time to perfect the recipe. Now that we're finally content with the flavor, we're introducing our strawberry and pineapple white wine sangria. It's sweet and refreshing with just the right amount of kick. And it sure beats that store-bought, bottled sangria that anyone can mix with fruit. It's also guaranteed to be made fresh daily. If you're lucky enough, you can sit and watch the bartenders make it and try to guess our recipe... or simply just enjoy a drink! 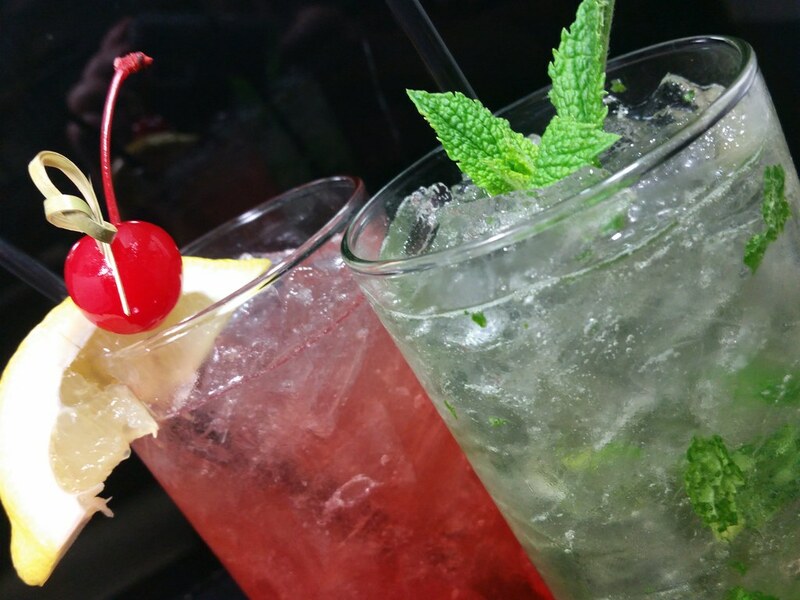 But while the sangria flows freely, we also have some new summer cocktails that will help to wet your whistle. First off is our Hemingway Cocktail. Designed by the famous drinker (and writer) himself, this drink starts with white rum mixed with cherry juice, grapefruit juice and a squeeze of lime. Achieving a spicy-tart twist on the classic Cuban daiquiris of the south, Hemingway sure knew how to cool down on those hot Florida days in his bungalow. Next on our list is our Lemoncello Collins. This sour gin drink is perfect for a night on the patio. We combine lemoncello, gin and some freshly squeezed lemon juice muddled with a few mint leaves. It's a light, refreshing and tangy experience. Another new drink menu addition is our Elderflower Spritzer. Our sweet and floral St. Germain elderflower liqueur screams summer. We muddle this with some fresh mint and top it with our house Sauvignon Blanc and some sparkling soda for a cool and herbal after-dinner drink. Finally, for those of you a little more adventurous, we have the Sour Cherry Ginger. We mix gin, fresh lemon juice and cherry juice. Topped off with some spicy ginger ale, it's a mouth puckering treat! Beat the summertime heat with one of our newest cocktail creations. Enjoy them indoors or out!